The New Mutants is a sub-faction of Xavier's School, composed almost entirely of students and those under the age of eighteen. Some extenuating circumstances can factor in determining its roster, but these are rare exceptions. The New Mutants are student leaders. To be eligible for this position, the individual must demonstrate exceptional responsibility and maturity in their interaction with others, faculty or otherwise. They must display an understanding and adherence to the established rules, and subordination to faculty and staff. Academically, New Mutants must maintain a B-grade minimum in classes. Failure to meet this criteria will eliminate the individual from consideration. New Mutants are to be a positive example to the student body. They are therefore under heightened scrutiny, and are expected to maintain all of the above-mentioned standards. Failure to hold a B-grade minimum may result in a "grace period" to restore the average, at the discretion of the program advisor. Failure to raise grades in an appropriate time period determined by the advisor will result in New Mutant status termination. New Mutants are given moderate authority over their student peers in appropriate situations, so as to maintain order in the absence of faculty or other adults. Such situations may include but are not limited to outings, crises, or upon discovering a violation of the rules in progress. Abuse of these authorities is grounds for review of membership and possible removal from the program. Admission into the New Mutants program is first determined by the program advisor. The advisor may elect at his or her discretion, following the criteria listed above, or an individual may be suggested to him or her. 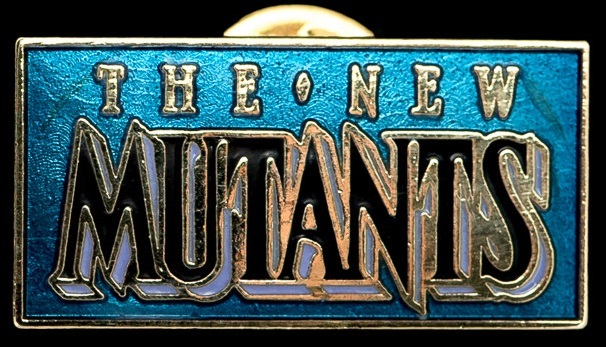 If the advisor feels that the candidate would make a good addition, it is brought to discussion with the current New Mutant roster. Should they agree by majority vote, the candidate will be given the invitation to join the program. Should the majority vote against, they will no longer be eligible for entry until it's called to vote again following a minimum of one week. Being a member of the New Mutants carries a combination of perks and responsibilities. In addition to the stricter conduct and educational requirements, New Mutants have sessions to attend. These sessions involve more focused combat, mobility, and powers training, as well as team-building exercises. Though these sessions are not graded, members are expected to perform at adequate levels. Failure to meet these expectations will be dealt with at the program advisor's discretion. New Mutants are to stay informed and be able to match names and faces to each member of the faculty and staff, as well as the student body. The purpose of this is to be able to quickly and efficiently identify intruders on school property, and more rapidly and accurately assess a situation; whether an unknown is simply a guest or troublemaker. Rosters are available to New Mutants detailing the relevant information, as well as contact information. Should they find someone or something suspicious, they are to contact the advisor or a faculty member immediately. New Mutants are not superheroes. They do not have permission to disrupt the work of any government or civil worker. They are only permitted to step in if the police or EMTs have not yet arrived, and are expected to conduct themselves with discretion in mind. They are strongly discouraged from engaging a hostile situation, unless lives are at risk. The moment the police, EMTs, or other officials arrive, New Mutants are expected to evacuate immediately and discreetly. Upon finding a crime in progress, New Mutants are to immediately contact the advisor and relay all relevant information. If the advisor cannot be reached, a member of the school faculty must be reached. The advisor or other faculty member may require a follow-up report. Should a crisis occur on school grounds, during a school function, or in a situation wherein a New Mutant is in the company of mansion students (whether or not on school grounds), the New Mutant is expected to see to the safety of said students. The faculty will handle the crisis - New Mutants are to evacuate the students to safety or maintain order. The advisor will determine situations wherein the New Mutants will engage a threat on a case-by-case basis. If the advisor is not available, another faculty member may give the order. New Mutants are issued unique uniforms and codename upon joining the program. Uniforms are to be worn during New Mutant-specific exercises, unless otherwise specified. They may be carried off mansion grounds and worn, should the New Mutant find a crime in progress that requires intervention. When in costume, the New Mutant MUST maintain a secret identity. New Mutants in uniform are to avoid cameras to the best of their ability. Given the true nature of the New Mutants, there are additional considerations made when looking at potential members. The chiefest of these is the question of whether or not the candidate will be a liability or risk to themselves, the other members, or the group's secrets. Should the advisor have any cause for concern, the candidate will not be considered. The second factor is a matter of mental stability and reliability. If the candidate displays recklessness, instability, and/or unpredictability, they will not be considered. The additional training, purpose, and activities of the New Mutants are SECRET. Though the existence of the group itself as student leaders is not secret to the school body, staff, or faculty, the name of the program is not to be shared off school grounds. New Mutants must maintain a B-grade standard in all classes. New Mutants must defer authority to the advisor, school faculty, and staff. New Mutants must conduct themselves in a respectable manner. New Mutants must not disobey faculty and staff, nor break school rules. New Mutants are to protect the school. They do this by evacuating students from danger and maintaining order. If they are required to engage the crisis, they will be informed on a case-by-case basis by the advisor or other present faculty member. New Mutants have a small degree of authority over other students in appropriate situations. New Mutants do not have permission to engage criminals, unless there are no police present. The moment police or EMTs arrive, the New Mutant is to evacuate immediately. Upon finding a crime in progress (or any suspicious activity), New Mutants are to call it in to the advisor. If the advisor cannot be reached, another faculty member must be informed instead. New Mutants get a unique uniform. When in uniform, their identity must be kept secret, even if a mask is not involved. Uniforms are not to be worn casually. New Mutants get a unique codename. These are not to be shared with anyone other than New Mutants. Anyone else who needs to know the codename will have that information available. The only exception to this rule is if the codename is an already-established nickname the New Mutant held before joining the program. New Mutants are, however, generally considered to be X-Men trainees. X-Men, including the advisor, are NOT to give their codenames to the New Mutants. Pixie - To determine whether or not she is actually interested in the team. To determine her abilities and if they can be made useful in a combat setting. Due to her age and former training with Logan, the goal is to do intensive training for a few months and then place her on one of the X-Teams where she will be most useful. Twilia - Most qualified based on power and skill level. Mary - Least qualified based on lack of functional power and skills. Though, has potential if trained by Psylocke to operate invisible and from indirect attacks. Needs body armor.